The “Castle Peak Pottery Kiln” [青山陶窰] or “Dragon Kiln” [龍窰]) is located at Hin Fat Lane, Tuen Mun, off Castle Peak Road. Information about it can be found in the Antiquities Advisory Board Historic Building Appraisal report N147 shown below. The kiln’s grade 3 status was confirmed on 16th September 2014. 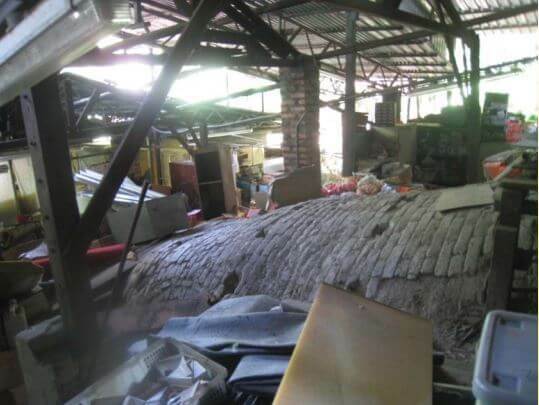 However a March 2018 article in the Hong Kong Free Press, linked below, suggests that a government proposal to use the lands surrounding the kiln for housing development, would build so close to the former Kung Hop Pottery Kiln as to put it under direct threat. Our article, Dragon Kilns – last Hong Kong one fired in 1990, linked below, includes a dramatic photo of a kiln being fired. Could it be the same kiln as that described below? Historical Interest This kiln is located in Tuen Mun off the Castle Peak Road near the 19.5 mile-stone. It is locally called “Castle Peak Pottery Kiln” [青山陶窰] or “Dragon Kiln” [龍窰]). The kiln was itself constructed of bricks probably in about 1940. It was founded by an overseas Chinese named Szeto Nu Tao (司徒怒濤). The story goes that Szeto’s initial aim to build the kiln was to produce potteries for export to overseas market, but the kiln under his operation was not capable of producing pottery items fine enough for overseas customers; therefore, the kiln was used to produce village potteries and cooking utensils for domestic uses. 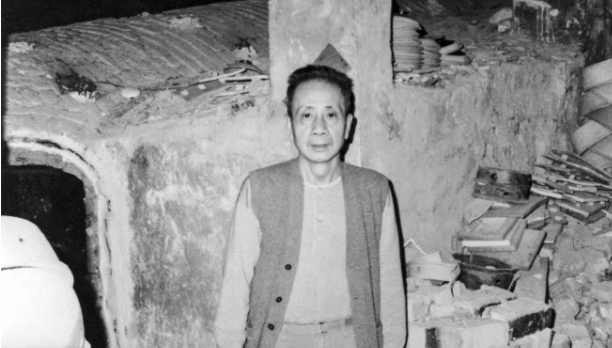 A pottery craftsman Leung Sum (梁森) took over the kiln in 1951. Having started making pottery in Shiwan, Guangdong province (廣東省石灣) since the age of 8, Mr Leung came to Hong Kong in 1949 when the pottery industry in Shiwan underwent a downsizing. He at first worked as a foreman at the kiln, but later, in 1951, he bought the kiln. He took over the kiln’s operation together with his native place compatriots and his wife (a native from Foshan 佛山, who married him in in 1947). The firewood for the fire chamber of the kiln was obtained from the hillside nearby. Under the management of the Leung family, the kiln produced a variety of household ceramic items (缸瓦) such as cooking utensils, flower pots, small saucers for lighting oil (點油燈碟), traditional Chinese money boxes (古老錢罌) which were sold to Kowloon, Hong Kong Island and elsewhere in the territory. The items were sold in the style or firm name of “Tao Sing” (陶星), later “Kung Hop Pottery Kiln” (工合陶窰) and “Hong Kong Ceramic Arts Studio” (香港陶 瓷藝術室). In its heyday, the kiln had more than 30 employees who engaged in firewood collection, packing of products and delivering products to city areas. Later on, due to the competition from the cheaper products from other parts of Asia, the business gradually diminished. During the late 1970s the kiln was used only occasionally used by local artists to have their own pottery works be fired there for the special kiln effects on the glazes which were not readily accomplished in modern electric kilns. The kiln stopped operation in 1982 and the area has since then been used for residential and storage purpose. Architectural Merit The wood-fired brick kiln is of an old design known as “dragon kiln”, which had a lengthy history of at least two millennia in South China, especially popular during Song and Yuan dynasties. Its fire chamber is long in shape usually lying along an upward slope, which earns the name “dragon kiln”. This kiln in Tuen Mun was built following the Shiwan model. Constructed of bricks, it is vaulted, and has a length of about 20 meters. Two entrances at the south side lead into the fire chamber for the stacking of pots. At the ceiling of the fire chamber there are rows of firing holes, with 5 holes at each row, from where workers can observe the firing inside the kiln and put the lighting woods into the chamber. An experienced operator can gauge temperatures by watching the fire through the holes at the roof. Firing temperatures normally range between 1200℃ and 1300℃. The method is simple but relies on the experience of the workers. At the end of the fire chamber there is a chimney of about 7 metres high for emission of smoke during the process. At the outside along the fire chamber there are brick pillars for supporting an old roof covering the kiln in the past, which had been damaged and dismantled. There is also a slope at each side of the kiln as the path for workers to go up and down the kiln during the firing process. Rarity, Built Heritage Value & Authenticity The kiln in Tuen Mun is a rare example of dragon kiln, a type in early use in China, peculiar to Fujian Province and later adopted in Korea. It is probably the only remaining dragon kiln in Hong Kong with intact condition, although remains of dragon kiln were unearthed at Sheung Wun Yiu Village, Tai Po (大埔 上碗窰村) during the archaeological investigations in the 1990s. The fact that the Tuen Mun kiln was built following the Shiwan model signifies the connection of pottery technology between Hong Kong and mainland China. It is also a testimony of the entrepreneurship of Hong Kong’s immigrants. 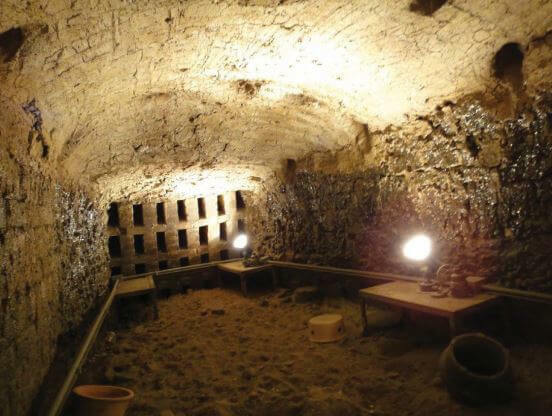 The kiln is still structurally sound and it remains its authentic appearance, though the area around the kiln is used for storage purpose. 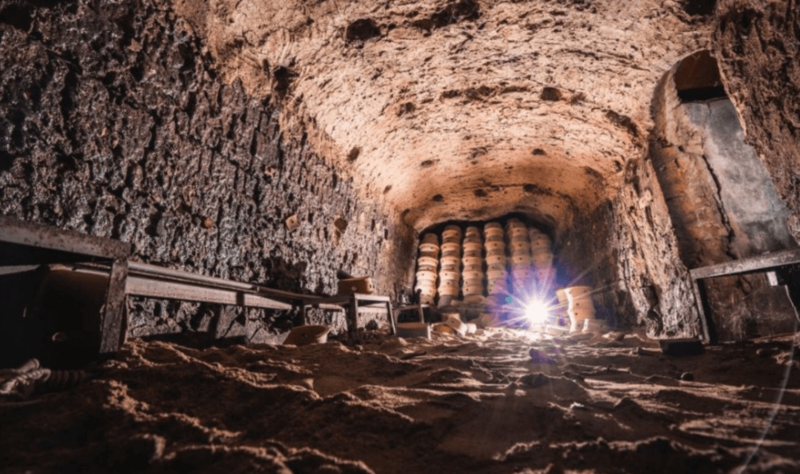 Unless you are a ceramics buff, you may not know what a dragon kiln is – but this is one of the best, and oldest, technologies for firing ceramics at high-temperatures. Invented in China probably during the Han dynasty, they are still in use in many countries where ceramics are highly valued. Hong Kong is home to a rare example, but it is under threat. Dragon kilns consist of one long brick chamber, where the wares to be fired are positioned, before undergoing a wood firing – a type of ceramic production that creates beautiful, natural glazes. These kilns are built on a slope: as the heat moves upwards, temperatures in the sealed chamber can reach up to 1300 degrees Celsius. This article was first posted on 7th June 2016. This article was first posted on 8th March 2018. How can we tour this facility? I am not currently living in Hong Kong and am unable to visit the kiln site. Nor can I find any information online regarding actually visiting the site. If you find out anything yourself about visiting or even entering the kiln please let me know.